Due to unforeseen financial issues, Continental Concerts and the “Metal Alliance Tour” regret to announce that the 2015 “Metal Alliance Tour” has been cancelled. 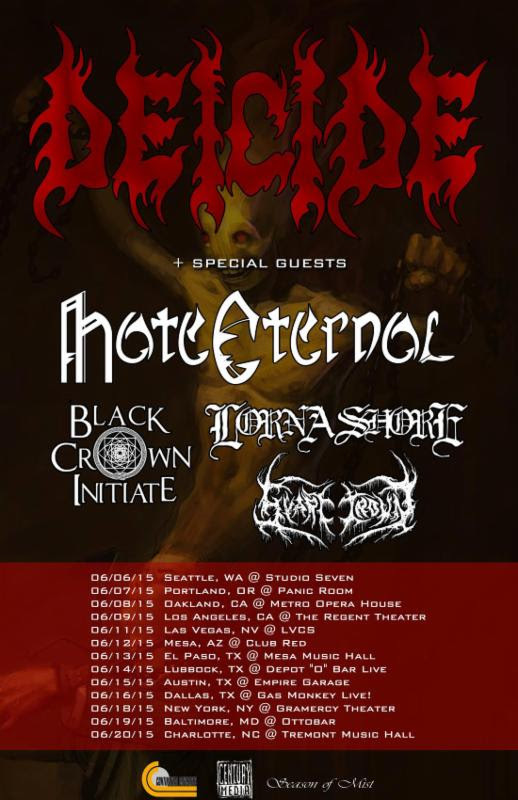 However, the remaining dates will continue on as a DEICIDE headlining run, featuring special guests as support (ENTOMBED A.D. is not on the bill due to the aforementioned issues). See below for all upcoming dates. June 16 – Dallas, TX @ Gas Monkey Live! 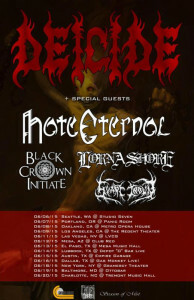 From his anti-god lyrics and Satanist labeling, Glen Benton has managed to lead DEICIDE through 11 albums over the past 25 years, and they have been a staple death metal band from the early years of the genre. Their latest album, In The Minds Of Evil, came out in late 2013 via Century Media to critical acclaim. For a preview of In The Minds Of Evil, fans can check out the video for “End the Wrath of God” below.